I am SO excited for the weekend! I'm slowly teaching Alana how to live like a Swede and on Saturday we've been invited by Londonswedes to participate in their annual Kräftskiva at Smith's Bar & Grill (crayfish party)! Crayfish? Huh? Due to very cold and long winters, harvest in Sweden could be limited to short periods so we'd rely on seasonal products. 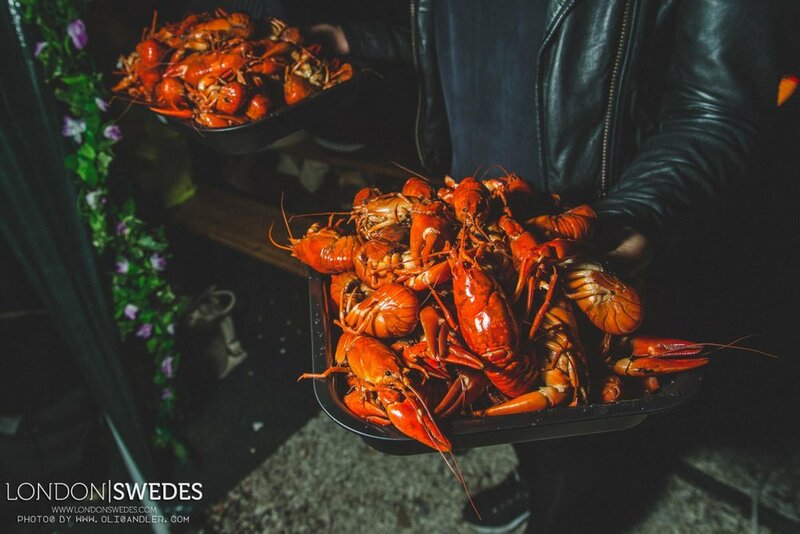 Crayfish is normally "picked up" from the waters from the beginning of August and since Swedes likes to celebrate everything, why not celebrate that autumn is here? Crayfish parties are usually set up outside with long, big tables, decorated with lanterns and candles. The crayfish is served with bread, cheese, pies, meatballs and lots and lots of alcohol. We sing songs, chat loads, eat and drink some more - basically my favourite things. If this sounds intriguing why not tag along? !